This page has information supporting our LGG-1 product. charge condition using 3 LEDs that flash four easy to see and understand messages: Good, Low, Caution, Damage. It does this by continuously sampling the battery voltage and averaging the data so that the true condition of the pack is displayed. Uses state of the art microcomputer and advanced digital signal processing (DSP) technology. Great for both helicopters and airplanes ! side of the connector. 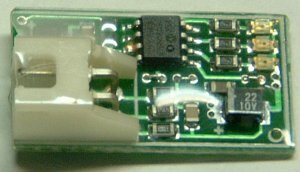 This is done by soldering the positive (red) and negative (black) wires to the same connector used by the ESC. The LGG-1 should be mounted on the side of the model with double sided tape or a tywrap where it can be easily seen when doing a flyby. it sets the packs type (voltage range) as a 3s pack and if below 8.8 volts, a 2S pack. 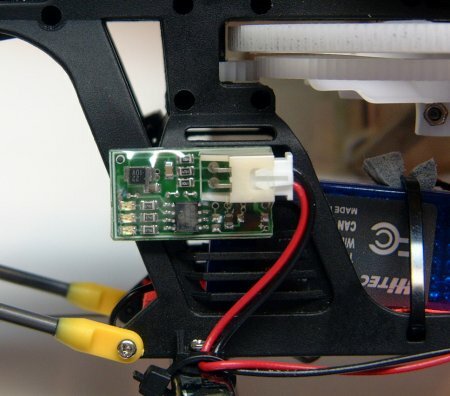 The LGG-1 will indicate the choice it made by flashing all 3 LEDs for a 3S and just 2 LEDs for the 2S during power-up. discharged 3S battery can be detected as a 2S inadvertently. will confirm your intuition and provide assurance.